So, as I said in my last post, I had another idea for the sketch at Freshly made sketches using some of my Altenew stamps. I love Altenew flower stamps. They are so pretty, and great to colour in. 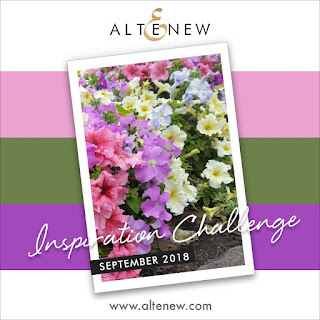 I decided to have a look and see if Altenew have a challenge blog, and yay! they do. The current challenge is 2018 Year in Review, where you can choose one of the inspiration pictures from the previous eleven months. I chose September, firstly for the inspiration colours of purple (my fave colour) and pink, and secondly because the photo is of one type of flower in different colours. I only used one flower for this card. I was so pleased with how this turned out. 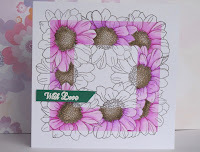 The stamp is from the "Spring Daisy" stamp set. 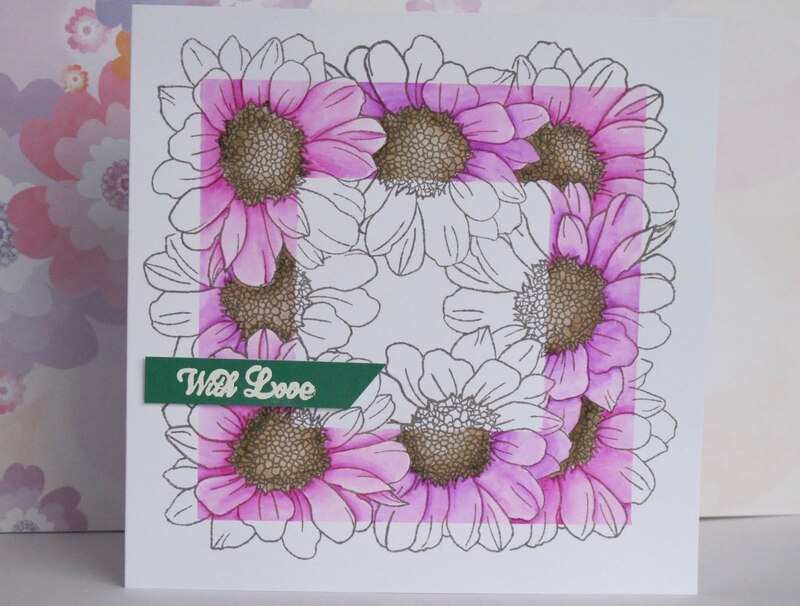 I stamped the daisies in a rough square, then masked off the border and coloured that in with my zigs. I am not particularly confident using zigs. I have watched this video by Kristina Werner so many times. Wow. Still, we all have to start somewhere. but I just didn't feel it worked, so I coloured a piece of card with zig #082, and embossed the sentiment onto that instead, and liked it much better. Phew! Is it just me or is this post longer than normal? Thank you for stopping by and taking the time to read it all! 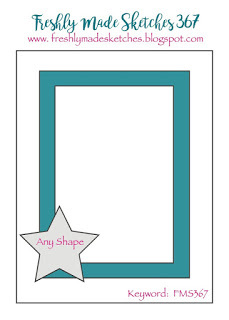 I love the wsy this card turned out! Great job! 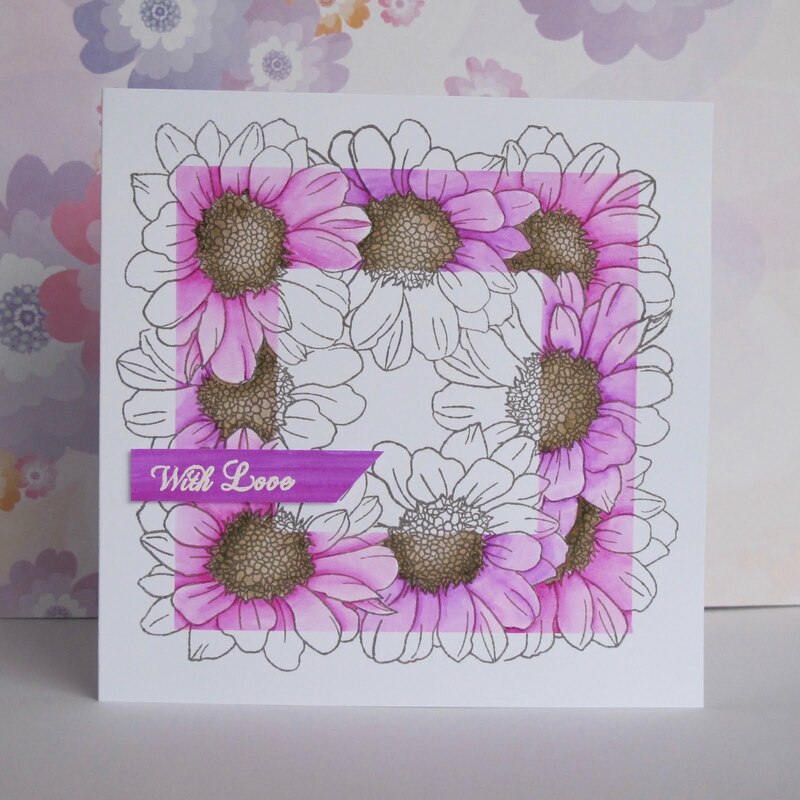 What a creative and pretty way to use the sketch! I love the pop of color. Thanks for joining us at Freshly Made Sketches this week! Spectacular use of this technique! The pink is gorgeous. 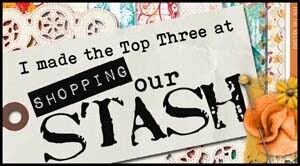 Glad to see you this week at FMS! 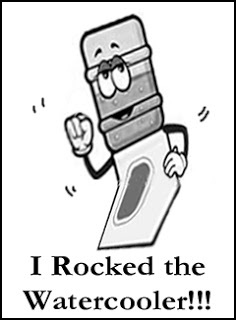 Very cool Karen, and you did a great job with the Zigs!